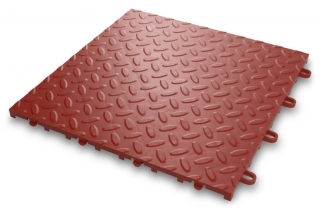 For the life of the product, when the product is used and maintained according to the instructions attached to or furnished with the product, Gladiator® Worx Europe will pay for replacement or repair of the defective product or parts to correct defects in materials or workmanship. 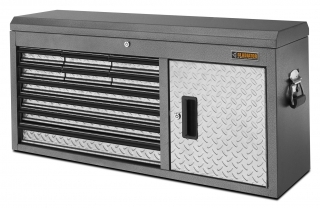 Service calls to correct the installation of any Gladiator® products or to instruct you on how to use or install them. Shipping or freight fees to deliver replacement products or to return defective products. 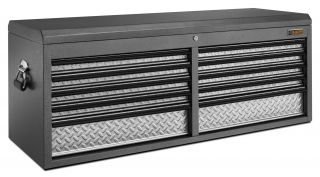 Replacement parts or product for Gladiator® products operated outside the United States and Canada. In Europe, travel or transportation expenses for customers who reside in remote areas. Any labor costs during the limited warranty period. 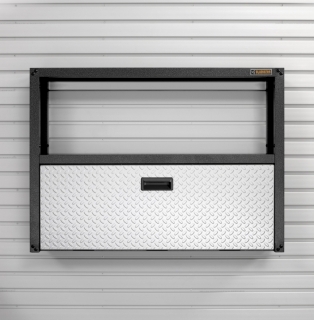 Damage resulting from improper loading beyond the specified maximum weight capacity outlined in the assembly instructions provided with the product, including overloading of hooks, baskets, shelves, cabinets, and other Gladiator® accessories used with the product. Loss of product contents due to theft, fire, flood. DISCLAIMER OF IMPLIED WARRANTIES; LIMITATION OF REMEDIES IMPLIED WARRANTIES, INCLUDING TO THE EXTENT APPLICABLE WARRANTIES OF MERCHANTABILITY OR FITNESS FOR A PARTICULAR PURPOSE, ARE EXCLUDED TO THE EXTENT LEGALLY PERMISSIBLE. ANY IMPLIED WARRANTIES THAT MAY BE IMPOSED BY LAW ARE LIMITED TO ONE YEAR, OR THE SHORTEST PERIOD ALLOWED BY LAW. SOME STATES AND PROVINCES DO NOT ALLOW LIMITATIONS OR EXCLUSIONS ON HOW LONG AN IMPLIED WARRANTY OF MERCHANTABILITY OR FITNESS LASTS, SO THE ABOVE LIMITATIONS OR EXCLUSIONS MAY NOT APPLY TO YOU. THIS WARRANTY GIVES YOU SPECIFIC LEGAL RIGHTS, AND YOU MAY ALSO HAVE OTHER RIGHTS WHICH VARY FROM COUNTRY TO COUNTRY. Outside Benelux, France, Germany and UK, this warranty does not apply. 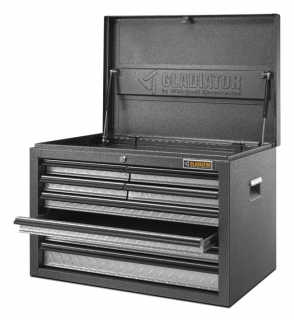 Contact your authorized Gladiator® Worx dealer to determine if another warranty applies. Keep your sales invoice for future reference. You must register your purchase and provide proof of purchase or installation date for in-warranty service.